The plot of Diablo has always been a classic theme: the struggle between the forces of good and evil in the world of mortals, weak people who somehow managed to survive in the midst of chaos and suffering. In Diablo III, this story will develop at a qualitatively new level, and players will learn about the Sanctuary a lot of new things, as previously mentioned only with hints. In the plot of Reaper of Souls was the fallen angel Maltael, who equally hates people and demons and wants to destroy them all with the help of his legion of angels of death. Stop the villain will help a new hero - the Crusader. 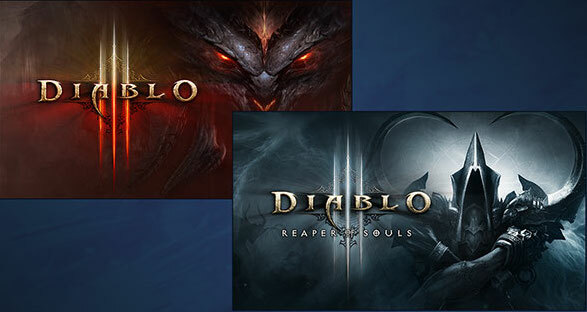 In addition, much attention is paid to improving key elements of Diablo games: even more randomly generated cards, new tasks and horrific monsters; significant changes in production - new improved multi-level legendary items of different levels, new opportunities for creating items from the blacksmith and jeweler, and much more. Все отлично. Активировал. Хочу подарок.